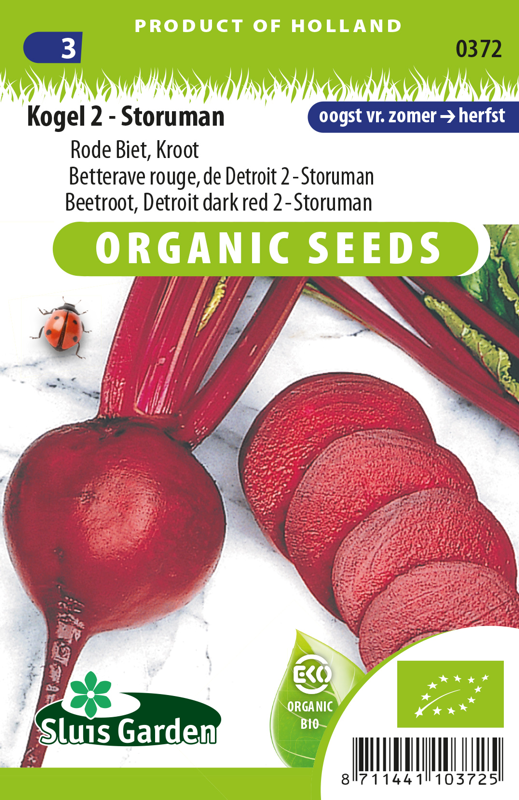 "Organically grown seeds. Spherical, large beets with a smooth skin and blood red flesh. 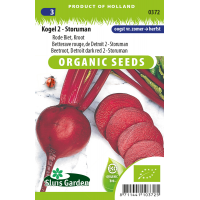 Storuman, an improvement to Kogel 2, can be harvested for a long time: from early summer to late autumn. Not very vulnerable to running to seed. Sow in well fertilized soil and not too thickly. Once the plants are 3 cm tall thin out to approx. 10 cm. With these, too, harvest on time, otherwise they get too thick and coarse. Keeps very well. For winter storage twist off the leaves, do not cut!